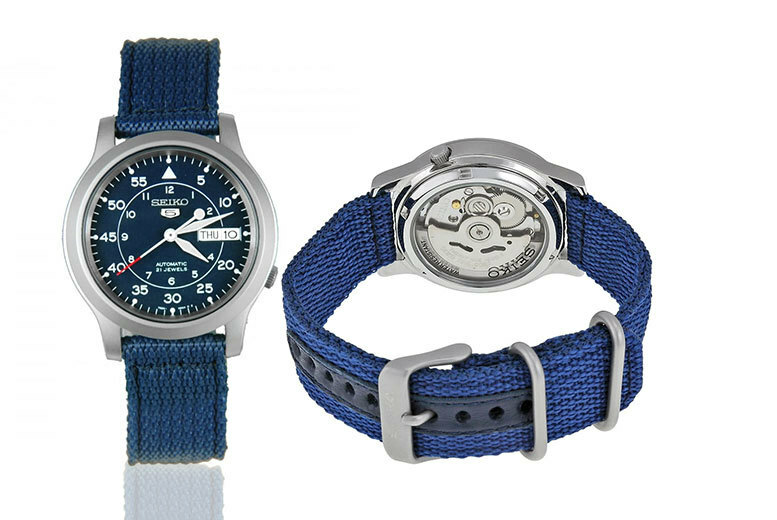 Seiko SKA753P1 is an amazing and attractive Gents watch . 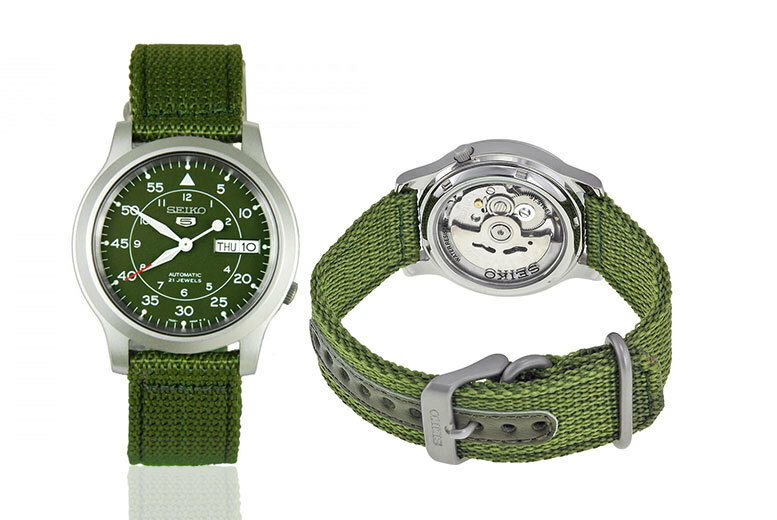 Case is made out of Stainless Steel and the Green dial gives the watch that unique look. The features of the watch include (among others) a date function. This model has got 100 metres water resistancy – it is suitable for swimming, but not guaranteed to be resistant to jumping into the pool. The watch is shipped with an original box and a guarantee from the manufacturer. This is a real dial with style with a trendy stainless steel watch and Hardlex crystal casing! 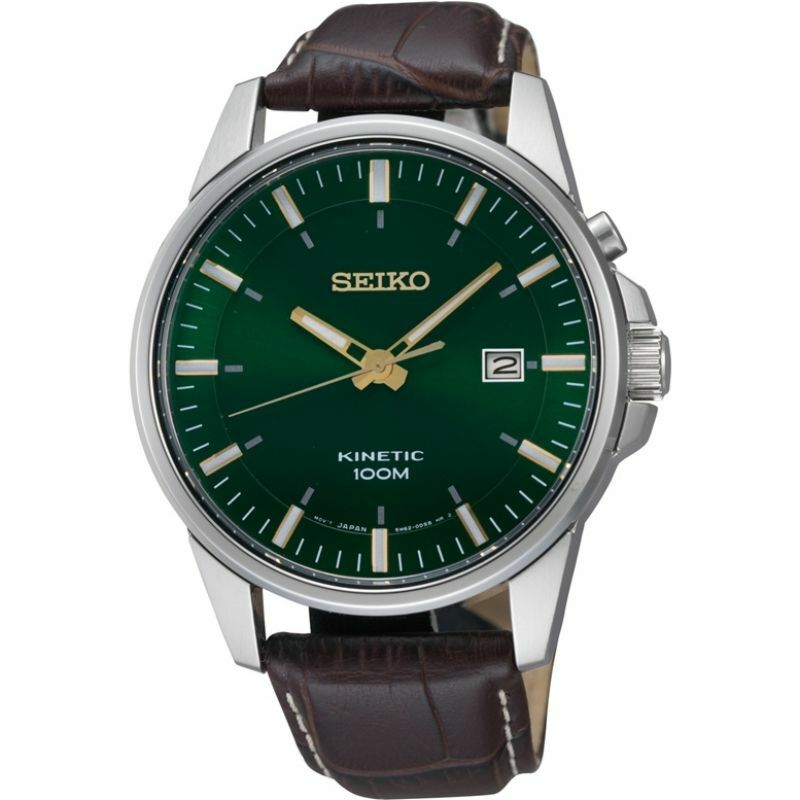 Get a men’s Seiko automatic watch! 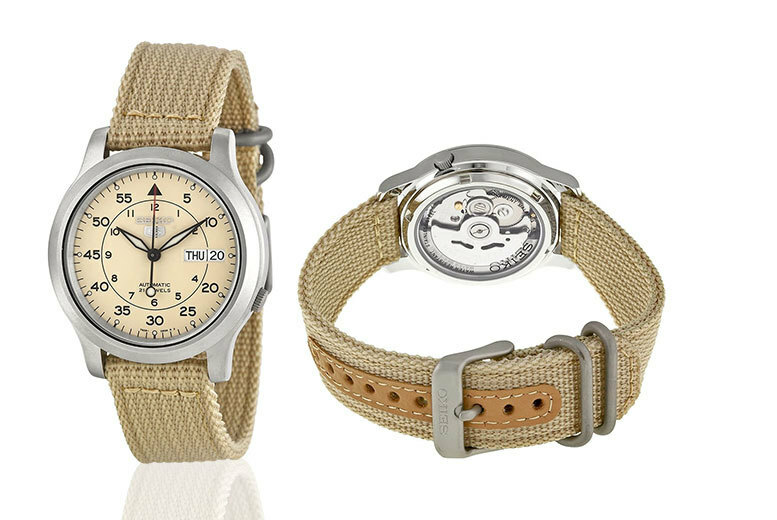 Durable stainless steel case with a fashionable canvas watch strap. Luminous hands and Arabic numeral minute markers to stand out. 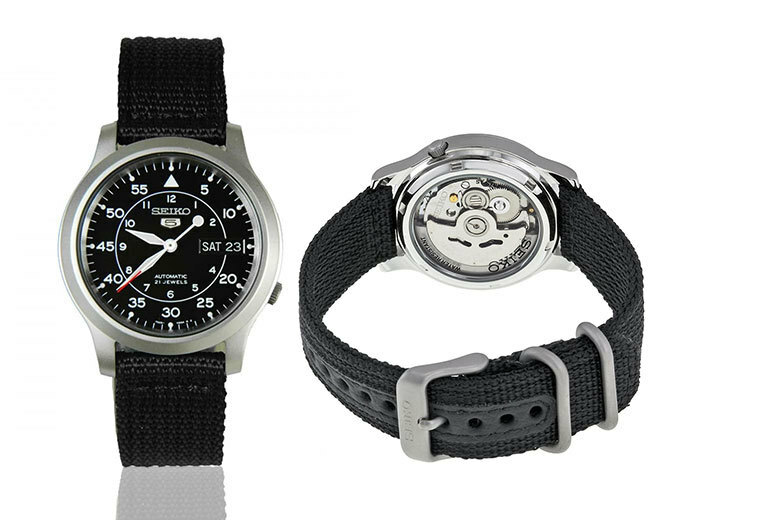 Keep your new watch safe in an original Seiko presentation gift box.